Yesterday it was finally time to cross the finish line. 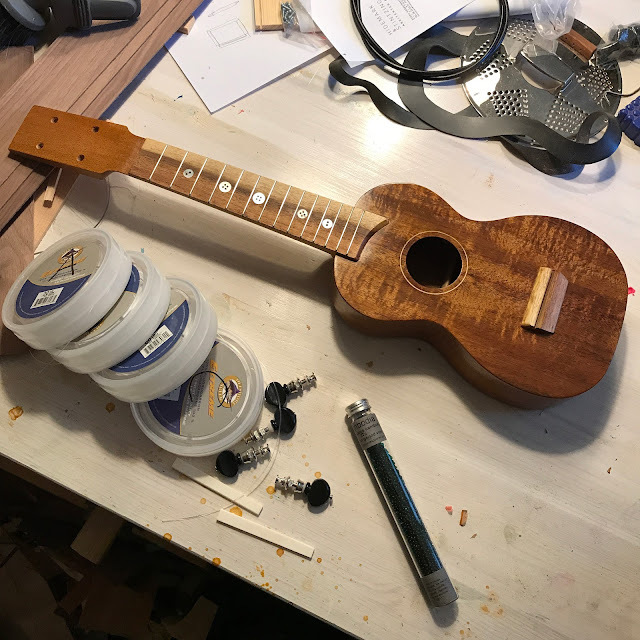 Gathered round the uke are tuners, fishing line, bone saddle blanks and glass beads. 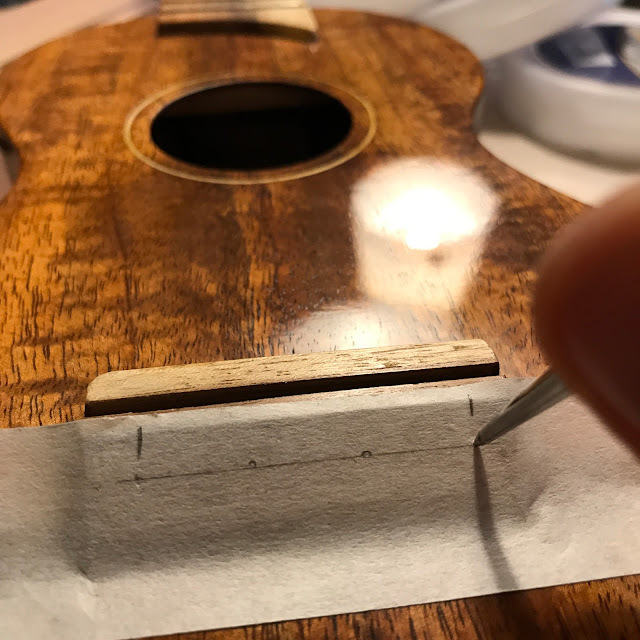 I bought guitar saddle blanks that I cut down for nuts and saddles. 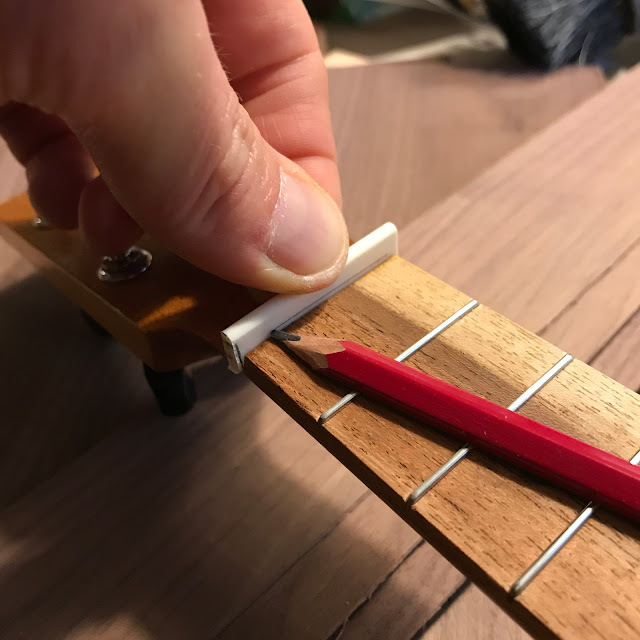 In the pic you see the half pencil I use to dial in the height of the nut, the line shows the level of the frets. Then I use a ruler to lay out the outside string positions, marking them on the bridge. 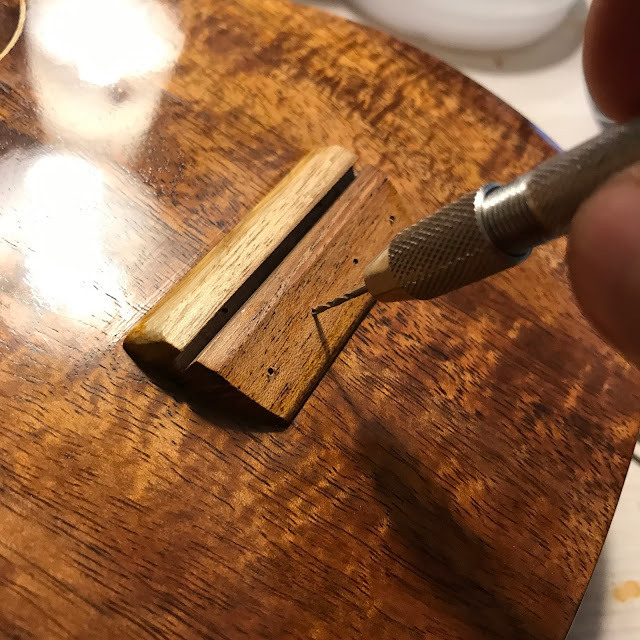 I divide the distance and use an awl to mark before drilling holes for the strings. 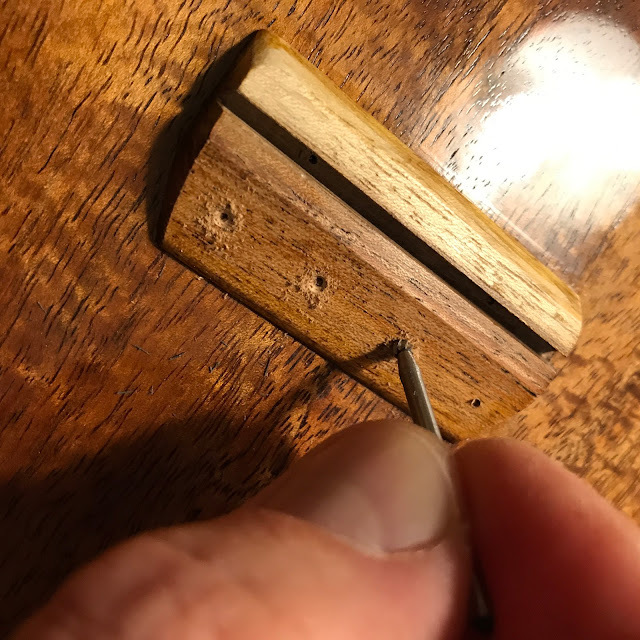 My tiny drill is often known as a pin vise. But I think of it as a drill. 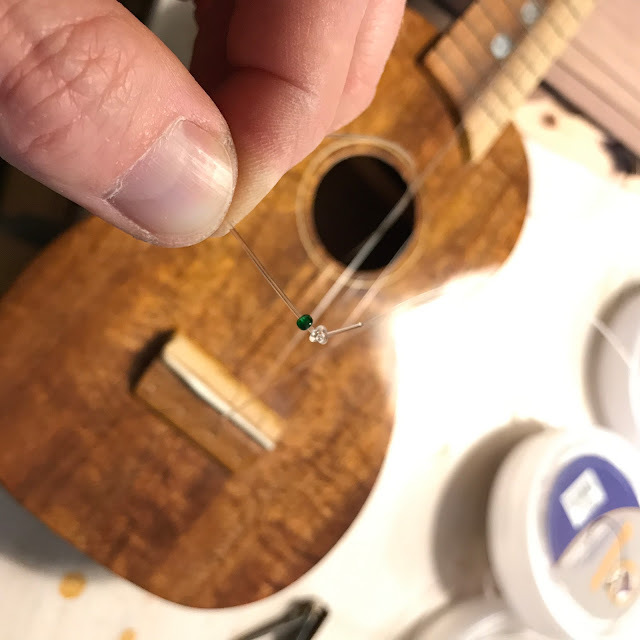 ... and feed the strings through, put a bead on and tie the knot. That's as far as I got, photo-wise. 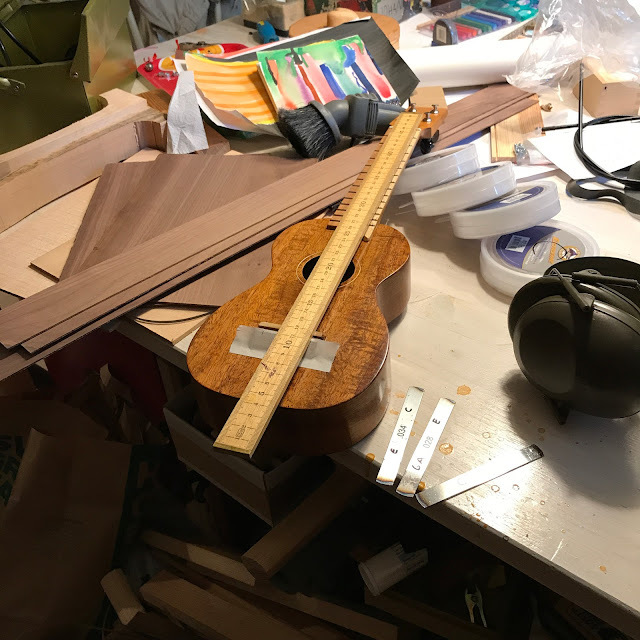 The uke turned out great and it has a very nice voice. I'll see if I can get more pics up, or a recording.